Okay so avoiding my ongoing reading of the 10 Books about the Great Depression is getting out of hand, now I am reading more books to avoid it than the ten I am supposed to read. I just finished The Accidental Billionares. Actually I started and finished on a six hour plane flight out to the east coast last week and I took a two hour nap during the flight. It is not a challenging read, it is pretty empty so there is just not much to force you to actually read. The book is about the starting of Facebook and provides no real inside into why it won, the times they have passed on exits, or even how the company works. It is supposed to be about the people but comes up short really explaining how they ticked before or think now. 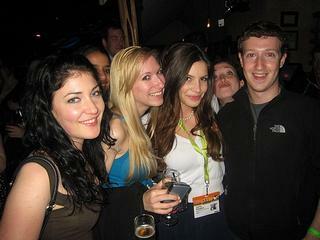 It simplifies Zuck down to a girl chaser which is not the case. It does share some of the inside baseball stories that most people in the valley know and even discusses a few events that I was around for like Zuck’s first trip out to the west coast to raise money and when Sean Parker got involved. These both stick in my mind because they both cost me a fortune for not doing the write thing. I did not take up the offer for “giving us $50K for servers” and when Sean asked if they could sublet part of the Spoke space for stock, I handed it off to someone else and it never got done. Now the guy I handed it off to did become the Chief Privacy Officer of Facebook, so that worked out well for him. Facebook is an incredible company and it is run very different than any other. Much like Google changed the way people think about running Silicon Valley companies, Zuck’s approach will also have a major impact. If nothing else given the executive churn, it is producing alot of people who are going back out to the start up world with some great learnings. This entry was posted in Deals, Investments and tagged facebook, investment, Startups. Bookmark the permalink.